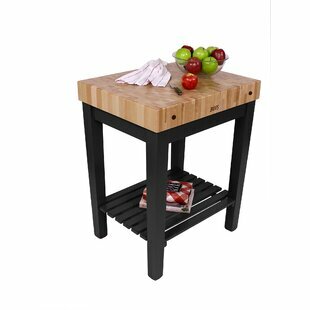 Make your cooking experience easier with the John Boos American Heritage Chefs Block Prep Table with Butcher Block Top. 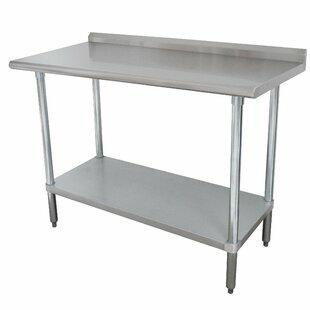 This preparation table includes a butcher top, where you can chop vegetables and meat, while you prepare your meals. It is a great choice for a kitchen with a rustic setting. 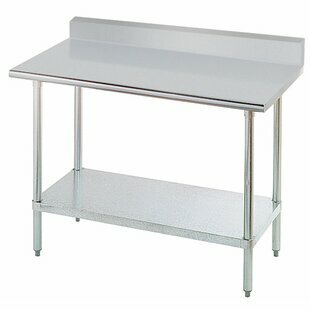 This preparation table is built with maple and has optimum hardness and clear grain. The butcher block counter top is accentuated with a cream finish with beeswax. It is available in multiple base... Overall: 36 H x 30 W x 24 D Assembly Required: Yes Overall Product Weight: 110lb.